The last week has seen a rush of both good and bad news on conservation issues in the British hills. 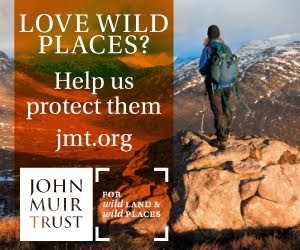 The debate on hill tracks in the Scottish Parliament took place on June 9th and many good points were made about the damage such tracks are doing to wild places. 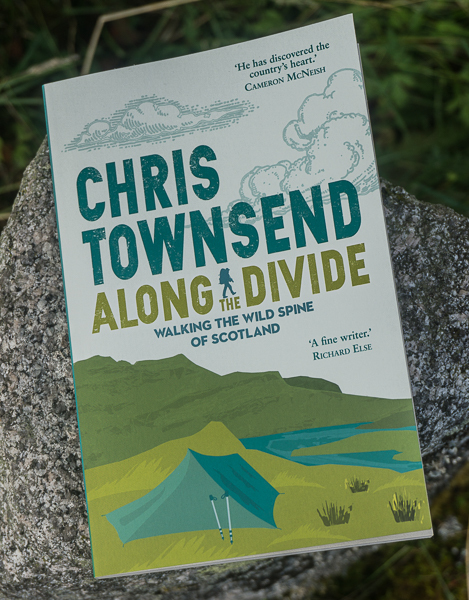 As a result the Scottish government is going to look at the lack of control over hill tracks. (See BBC News report). Hopefully this will result in effective planning controls. I urge anyone concerned about these tracks to support the Hill Tracks Campaign and write to MSPs and the Scottish Government. News came in too of objections to proposed wind farms in wild places. 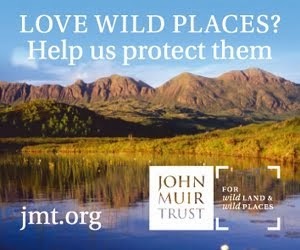 The John Muir Trust is objecting to three proposed 77 metre high turbines that will be visible from the track to Sandwood Bay in north-west Sutherland. This is a gloriously remote and wild area of Scotland that would suffer greatly from the presence of wind turbines. At the other end of Scotland in the Borders protesters have been campaigning against a 48-turbine wind farm in the Lammermuir Hills. (See this BBC News report). The developers seem to think that because this is one of the remotest parts of the borders building a wind farm here is a good thing. Finally the excellent To Hatch a Crow website reports on a plan by Scottish Power for 26 wind turbines on the south eastern fringes of the Snowdonia National Park on the unspoiled upland range of Mynydd Mynyllod. This is the latest of 26 applications for wind farms in North Wales which conservationists say will be highly visible from every peak in north and mid Wales. I have good memories of hillwalking and backpacking trips in Snowdonia. If these wind farms are built I won’t return. It would be too depressing. Further News: Monday 14th June. I've just heard that the Scottish Government has dismissed an appeal against the refusal for the proposed Auchencorth Wind Farm, which would been visible from the Pentland and Moorfoot Hills. This is good news. Official decision here and reasons for objecting to the turbines here. Photo info: Paul’s Hill Wind Farm, not far from the borders of the Cairngorms National Park. Canon EOS 450D, Canon 55-250 IS at 250mm, 1/640@f5.6, ISO 200, raw file converted to JPEG in Lightroom 2.7. If I am correct, the British Government committed to reducing Carbon emissions by 20% by 2012 and are on schedule to do this. The Goverment have also made a committment to nuclear energy for the next decades. I get the impression that sustainable methods of energy generation (wind, sea, solar) are not considered by the Government to be adequate in themselves to meet the energy needs of Britain, but that they can 'top up' the energy generated by nuclear to increase our use of renewable energy. Do you think wind farms are a good idea and if so where would you like to see them built ? Hi Alastair, I have no objections to wind turbines as such. It's location that matters. Build them on old industrial land, round cities, in already developed areas and out to sea off developed coasts. But not in or round wild land. the thing i cannot understand is why small groups of are springing up everywhere, why cant they all be lumped together in one big place?. i live in the cambridgeshire fens and would have no objection to 500 or more being on there. farmers could still farm inbetween them, and i think with them spinning in unison they would look quite attractive!. good luck on your walk. enjoy!!. Because the wind never blows consistently in one place, yet nearly always blows somewhere in the UK. Therefore you need them spread about so that at any one time, a given percentage of all turbines are available to generate power. I don't disagree with you in general, but do think saying "build them around cities" could be seen as NIMBYism. Why should those who don't have the luck to have access to the wild places be lumbered with all the turbines? Personally I think sea based sites are the best solution (other than the cost), but that beyond that we should all bear some of the burden unless we're all prepared to dramatically change our lifestyles. The fact is that no-matter where a farm is proposed, there are always objectors, so how do we solve the problem? As with all things, it's a question of degree. I welcome some farms in wild places, because I think the farms are beautiful things (your photo is stunning), and the argument to build them away from people is just as strong as the one to build them away from unspoiled wild areas, but that doesn't mean it's right to build them ONLY or extensively in the wild places. The fact is that we have to do something to arrest global warming. If the environmentalists hadn't objected so strongly to nuclear in the 70's and 80's, arguing FOR wind power instead if you remember, we'd not be in as much of a mess now. Mark, building power stations as close to the need for the power is the best approach. It's the most energy efficient and causes the least environmental damage. Sea-based makes sense but even then I think the turbines should be close to the demand for the power. There are wind farms in the Mersey estuary that are fine as this is already an urban area. We have few wild places left and they are dwindling all the time so I don't think any wind farms should be built in wild places because once they are the places cease to be wild. Many industrial structures can be attractive but not in wild places. Whether wind farms have much effect if any on global warming is another question. There seems to be plenty of evidence that they are fairly ineffective. But even if they are effective I would still oppose destroying wild land by building wind farms in the hills. At present I think wind farms in the hills are just tokenism by politicians who want to be seen to be doing something but aren't actually doing anything about energy conservation or energy efficiency and money-making schemes by developers who are happy to put a green gloss on their exploitation and destruction of nature.